Van Gogh and Britain records the three years Van Gogh spent in the UK, arriving in 1873 as a 20-year old. Not always happy in his Brixton lodgings, but always drawing, studying, experimenting; and always observing. Thanks to generous loans, around 50 of his works are exhibited here. What an all-rounder he was. The artist's passion to record what he sees extends not just to landscapes, cornfields and sunflowers, but to portraits (as well as, of course, the self-portraits), still lifes, life drawing, and all manner of examples of the teeming life and labour of the mid-19th century. Artists still refer to his mastery of light and shade when they illuminate their work. 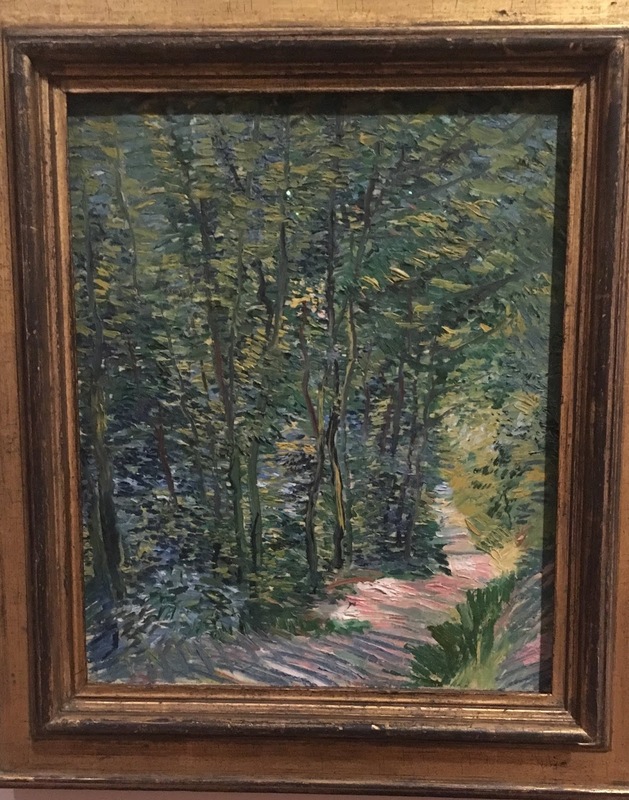 Shown here is Van Gogh's Path in the Woods. Different media, but not dissimilar to David Hockney's iPad/iPhone paintings. Van Gogh's celebrated Sunflowers are another example – yet none rival the originals. Van Gogh saw and recorded with unflinching honesty the poverty and destitution of his age, in England as well as in Belgium, France and the Netherlands. He applied the same acute analytical gaze when he painted nature. Trunk of an Old Yew Tree (see left) rewards the closest study, a lesson in the infinitely subtle use of colour. The portraits too lift Van Gogh well beyond the ordinary. The artist's exquisite etching of his doctor, Paul Ferdinand Gachet (1890), is shown here. 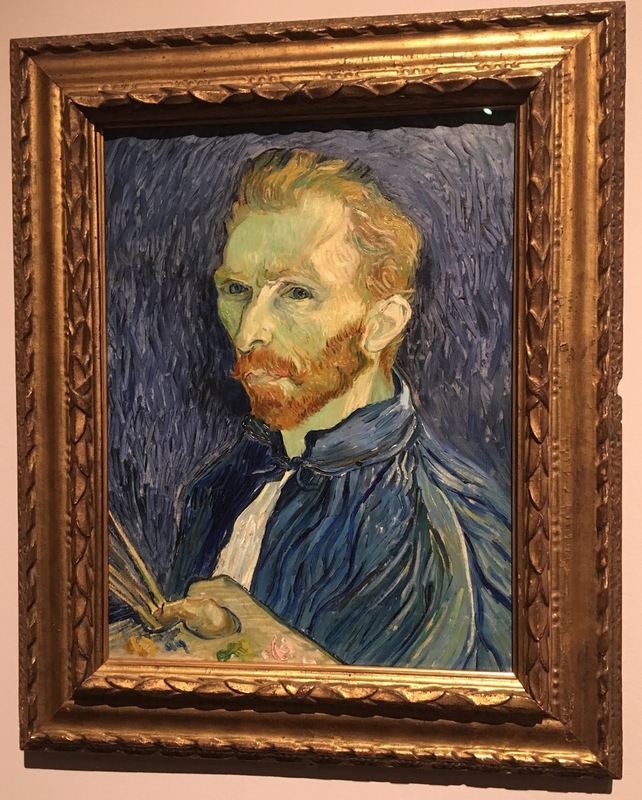 Van Gogh's 1889 self-portrait was painted in the Saint-Paul hospital Saint-Rémy and lent by Washington's National Gallery of Art. It shows the artist bird-beaked and pale with illness and concentration, squinting his eye like some bird of prey to capture his image. 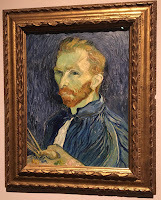 Van Gogh, who spoke English, came here to learn more about England as well as to work. He read voraciously of Charles Dickens, and George Eliot – as well as expressing admiration for the work of John Everett Millais and John Constable. He took endless walks to impress upon his memory something of Englishness and the English. And in turn he has influenced just about every artist you can think of. 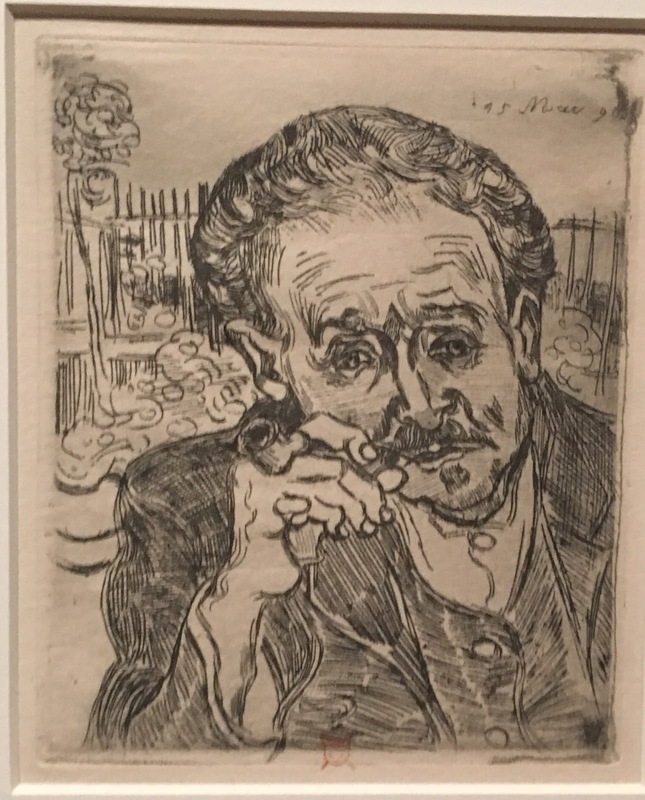 I did find the show to be something of a mishmash at times, finding myself muttering under my breath: "but I came to see Van Gogh". The curatorial idea is to have the works of Van Gogh sharing the walls with his British contemporaries –ostensibly to show how many British painters were influenced by the visiting Dutchman. 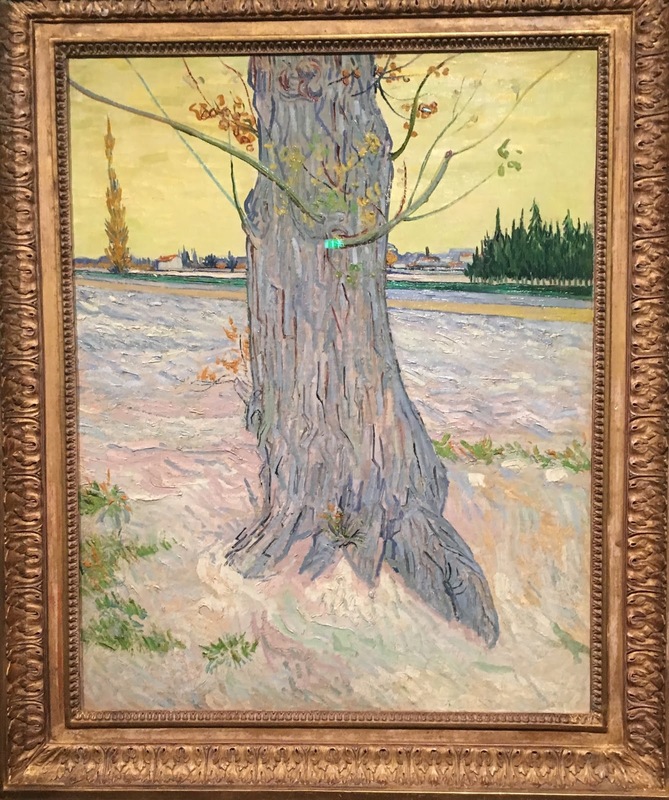 Well, it certainly makes the central point – how much Van Gogh soared above all of them – all the stronger. Indeed, if any show cautions 'beware the academy', it's this one.